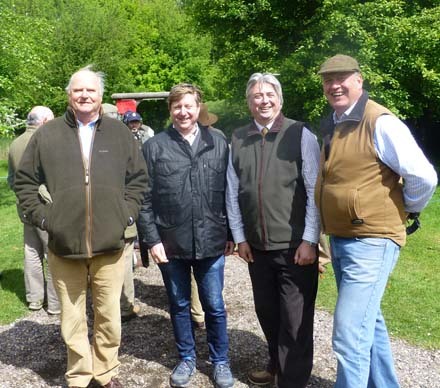 The annual Inter Livery Charity Clay Shoot is one of the highlights of the City of London charity events. Since its revival in 1993 it has been a hugely successful fund raiser for charities nominated by teams involved in the day. 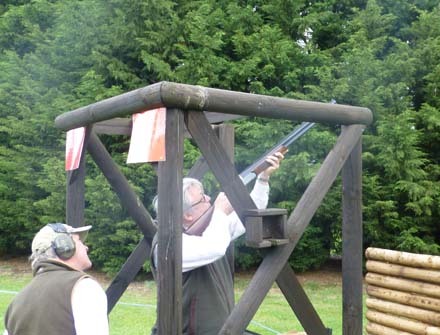 It is attended by in excess of 400 guns every year in four man teams, representing over 55 Livery Companies. The guns battle it out over a ten stand, 80 bird Sporting layout interrupted only by the four man, 80 bird, flush from the high tower. The venue is Holland & Holland shooting ground at Northwood Middlesex, a beautifully laid out professional circuit and home for shooting of all disciplines. 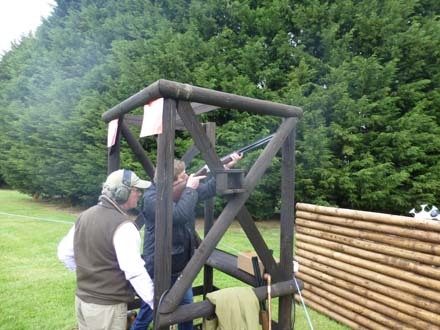 The shoot has become highly competitive whilst maintaining a comfortable, friendly, esprit de corps atmosphere and of course creating a pool of money for donation to charity. This year our Livery was represented by Jollyon Coombs, Peter Winfield, William Battersby and Simon Bartley. There were 116 teams entered into this event and we came 67th.